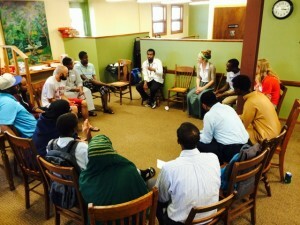 Helping faith communities reconsider, reshape, and engage young adults in meaningful questions about their spirituality are core goals at the heart of a program that just received a nearly $1.5 million grant from the Young Adult Initiative of Lilly Endowment Inc.
Augsburg will use the grant to establish an innovation hub for Twin Cities urban congregations seeking to engage people ages 23-29 in ministries that support and enrich their spiritual lives. Under the leadership of Rev. Mark Hanson ’68, Director of the Christensen Center for Vocation, and Dr. Jeremy Myers, Associate Professor of Religion, Augsburg will leverage its urban location and deep community connections to help review, assess, and evaluate young adult engagement with congregations and faith communities in the Twin Cities. 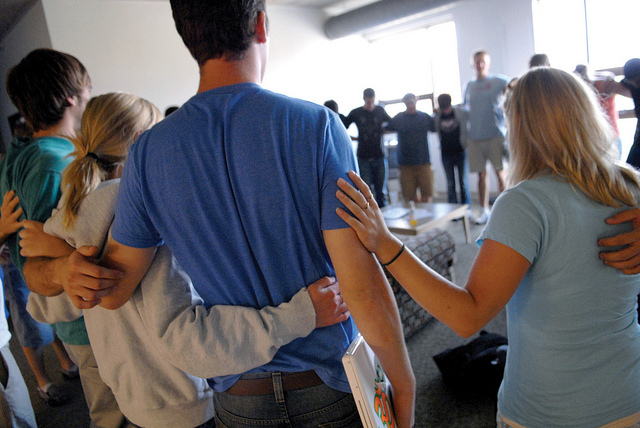 “As a university of the Lutheran church committed to serving and living out our mission in one of the most diverse ZIP codes in the nation, we will seek to help our ELCA churches grow in our shared understanding of faith formation among young adults while creating rich opportunities for young adults to explore new opportunities for learning and leadership available to them within a variety of faith communities,” said Augsburg College President Paul Pribbenow. The program will involve collaboration between the office of the President, the Youth and Family Ministry department, Campus Ministry, and the Christensen Center for Vocation. Augsburg will focus on four pathways where it has strong experience and expertise: faith and the arts, faith and environmental issues, faith and political activism, and interfaith living. Augsburg’s interfaith programming was the subject of a recent commentary in The New York Times by award-winning author, columnist, and professor Samuel Freedman. The piece, “Muslim College Chaplains Extend a Hand Across Religious Divides,” highlighted the work of Muslim Student Program Associate and Chaplain Fardosa Hassan ’12. Augsburg College was one of five national finalists in the United States named to the prestigious President’s Higher Education Community Service Honor Roll with Distinction in the interfaith and community service category in both 2014 and 2015. The College has been named to the top tier of recognition—the honor roll with distinction—for this prominent national award six times. Augsburg is one of 12 colleges, universities, and theological schools taking part in Lilly Endowment’s Young Adult initiative. The organizations are located in 10 states and the District of Columbia and reflect diverse Christian traditions – Mainline Protestant, evangelical and historic African American denominations, as well as Roman Catholic, Orthodox and independent congregations. “Congregations can easily slip into old practices of ministry that are unhelpful or even push away young adults rather than engage them and draw them into ministry and service opportunities,” said Christopher L. Coble, the Endowment’s vice president of religion. Later this year, Augsburg will begin forming a cohort of congregations to study and partner with. 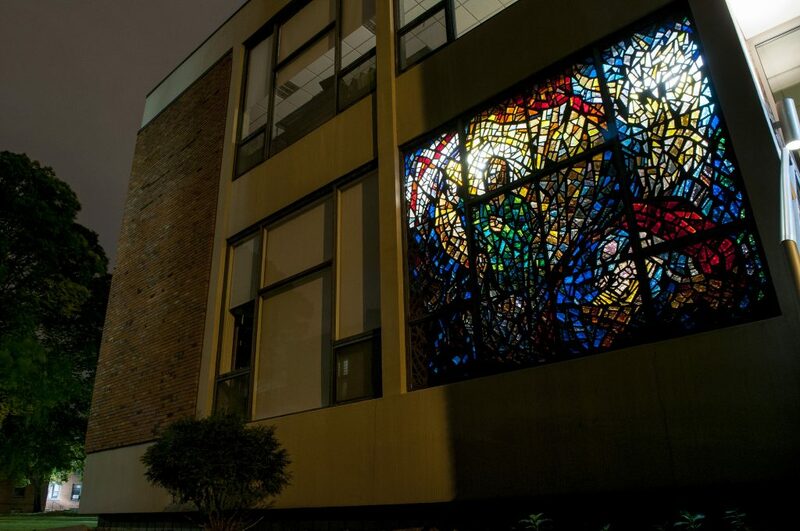 In 2019, the college will issue subgrants to select congregations to carry out programs, projects, and activities that are designed to meet the specific goal of young adult engagement. About Lilly Endowment Inc.: Lilly Endowment Inc. is an Indianapolis-based private philanthropic foundation created in 1937 by three members of the Lilly family – J.K. Lilly Sr. and sons J.K. Jr. and Eli – through gifts of stock in their pharmaceutical business, Eli Lilly & Company. The Endowment exists to support the causes of religion, education and community development. Lilly Endowment’s religion grantmaking is designed to deepen and enrich the religious lives of American Christians. It does this largely through initiatives to enhance and sustain the quality of ministry in American congregations and parishes. Thanks to a grant from the Disabled American Veterans of Minnesota (Chapter 1, Minneapolis), Augsburg College will offer two $5,000 fellowships to benefits-eligible veterans who enroll in the Master of Arts in Leadership (MAL) program or the Master of Arts in Leadership/Master of Business Administration (MAL/MBA) dual degree program. Veterans will enhance their leadership skills and résumés through the new DAV Fellow in Public Scholarship program, which focuses on translating military skills into civilian leadership experience. One of the key elements of the program is its focus on experiential learning. U.S. News & World Report recently ranked Augsburg one of the Best Colleges for Veterans, acknowledging the College’s participation in federal initiatives that assist veterans and active service members as they apply, pay for, and complete their degrees. Augsburg also has been named a Military Friendly® School for each of the past two years. Military Friendly Schools are recognized for going above and beyond to provide transitioning veterans the best possible experience in higher education. More than 120 Augsburg students identify as military members or veterans, and more than half of these individuals are eligible for full VA education benefits. These students are enrolled in Augsburg’s traditional undergraduate, adult undergraduate, and graduate programs at its locations in Minneapolis and Rochester. Happy Veterans Day to students, faculty, staff, alumni, and friends who have served. Pictured Above (L to R): Mark Jaruszewski (Adjutant, DAV of MN, Chapter 1, Minneapolis); Ray Gabrau ’18, Augsburg Student Veteran Representative; Ann Garvey, Vice President of Student Affairs; Jim Kline, ’01 MAL, DAV of MN, Chapter 1, Minneapolis; Jenna McMorrow, ’18 MSW, Veterans Integration to Academic Leadership (VITAL) intern; Alan Tuchtenhagen, Director, Master of Arts in Leadership Program. Photo taken in the U.S. Bank Veterans’ Lounge, Oren Gateway Center 110. A year after it opened, the U.S. Bank Veterans’ Lounge continues to be an important part of the educational journey of Augsburg student vets and has become a quiet respite for the College’s community of veterans. “Many of our students are commuters, here for long days and on evenings and weekends, so the lounge becomes ‘home base’ when they are on campus,” said Lori York, Augsburg’s School Certifying Official. York also serves as liaison between current and prospective students and the U.S. Department of Veterans Affairs. Dave Adams, a student in Augsburg’s Masters of Business Administration program, is grateful for the camaraderie and comfort the lounge provides. Adams also acknowledged his appreciation for the treats–gifts from Augsburg staff members–that often appear in the lounge. But the U.S. Bank Veterans’ Lounge, located in the Oren Gateway Center, is more than just a getaway. It’s also come to represent the connections and community of veterans who are all pursuing their next call. The connection between student vets and U.S. Bank, recognized as a top corporate supporter of veterans and military families, doesn’t end there. Andy Norgard, pictured above (rear), is one of several Auggies to complete internships at U.S. Bank in recent years. A former member of the Marine Corps and Augsburg’s Student Veteran Representative, Norgard completed a Financial Analyst internship at U.S. Bank last summer and has recently been offered a job at McGladrey, one of the nation’s top accounting firms. For the second consecutive year, Augsburg was named a Military Friendly® School, a list which is compiled through extensive research and a free, data-driven survey of more than 10,000 VA-approved schools nationwide. Military Friendly Schools have gone above and beyond to provide transitioning veterans the best possible experience in higher education. As of fall 2015, there were nearly 120 active members and military veterans attending Augsburg, a notable number for an institution of Augsburg’s size. The College graduated more than 20 military veterans this past spring and summer. We are proud to partner with U.S. Bank in its continued support of veterans in both higher education and business. 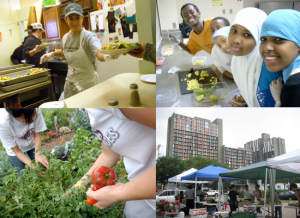 Cedar Commons, a partnership between Augsburg College and Trinity Lutheran, was one of seven neighborhood organizations to receive a grant from The Minneapolis Foundation’s West Bank Fund. Cedar Commons was designed to support collaborative projects through which Augsburg students and community partners work in partnership to respond to community needs and opportunities. The $3,500 grant from the West Bank Fund will support a youth leadership program titled Connected Voices for Education and Engagement. The program will expand access for Cedar Riverside youth to the Cedar Commons’ collaborative programming space and facilitate connections with Augsburg’s student body. Part of Augsburg’s strategic vision for 2019, its sesquicentennial year, is to shape education to address the world’s needs by joining our neighbors and institutional partners at the table. The college looks to partnerships with organizations like Trinity Lutheran and the Minneapolis Foundation to help students discover their gifts, discern their vocations, and open doors to careers. To learn more or get involved, please visit augsburg.edu/commontable. On their first day of the 2015-2016 school year, Augsburg faculty and staff came together to help celebrate the college’s 16th City Service Day by assembling hygiene kits for individuals who visit the Augsburg Central Health Commons in downtown Minneapolis. 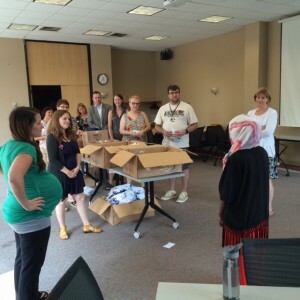 Supplies for the kits were purchased through a generous grant from the Central Minneapolis Chapter of Thrivent Financial, by way of its Care Abounds in Communities program. City Service Day is an annual event in which members of the college community, including all incoming first-years, venture off campus to complete service work in Minneapolis neighborhoods. 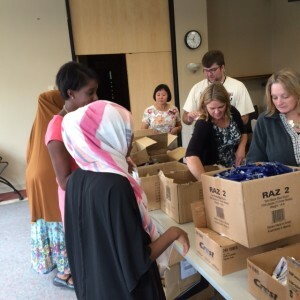 The group of faculty, staff, and other friends of the college assembled 480 hygiene kits, which were comprised of socks, shampoo, soap, toothpaste, and other commonly requested items of those who visit the Commons. Kits will be distributed at the Health Commons during normal operating hours on Mondays from 10 a.m. – 12 p.m. and on Thursdays from 9:30 a.m. – 11:30 a.m. In addition to assembling hygiene kits, participants learned more about the history of the Health Commons, the people who visit the center, and opportunities to get involved as a volunteer. Health Commons is a nursing-led free drop-in center that is dedicated to providing basic needs and health support for people living in poverty. The center also provides an opportunity for faculty and students from the Nursing Department at Augsburg College to become involved in independent practice. The people who come to the Health Commons are from diverse cultural and socioeconomic backgrounds. All services are provided free of charge. Health concerns might include nutrition, medication, stress management, respiratory conditions, injuries, skin problems, and chronic disease such as diabetes and hypertension. Frequently, people with these problems come to the Health Commons for its easy access, its supportive environment, and assistance with connecting to other healthcare resources. 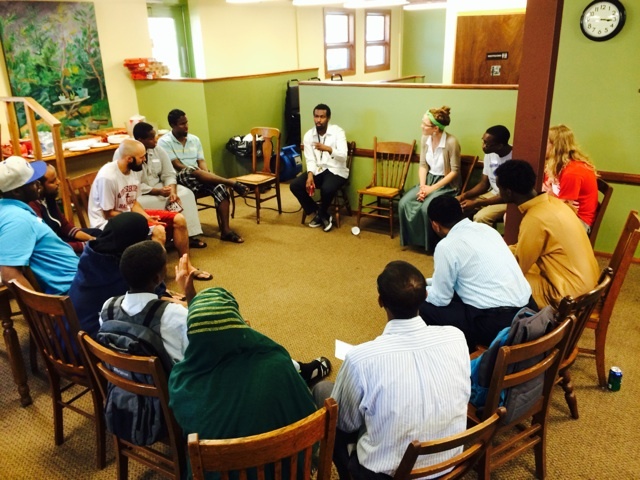 As a small, student-centered college located in the vibrant and diverse Cedar-Riverside neighborhood in heart of Minneapolis, Augsburg embraces civic engagement as a core part of its curriculum. We are grateful to Thrivent Financial and other corporations and foundations who support our work in the community. To learn more about Augsburg Central Health Commons or its sister facility in the Cedar-Riverside neighborhood, please click here. This year, Augsburg College received our fifth award for the Travelers EDGE internship program. 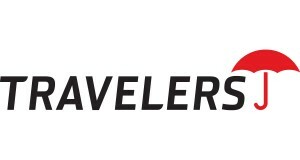 The Travelers EDGE, $115,000 grant award, is allocated for the Travelers EDGE partnership, a comprehensive college readiness, career awareness, and college success program for low-income, first-generation students of St. Paul Public Schools. Students must remain in good academic standing with a minimum GPA of 2.5, demonstrate financial need, and express an interest in exploring careers in business, financial services, economics, computer science, and related fields. The program seeks to increase the pipeline of underrepresented students to college, help them to graduate, and build awareness of careers in the insurance and financial services industry. Janet Morales, manager of College Access Partnerships coaches the students, facilitates financial literacy programming with the Strommen Center for Meaningful Work, and coordinates mentorships with Travelers employees. Five students participate in the program per year, which also includes the opportunity to apply for competitive Travelers internships in St. Paul, MN and Hartford, CT. Annually, one student per year has been offered a position post graduation. Travelers’ support, partnership and engagement with Augsburg College has been a tremendous asset and a true demonstration of a strong corporate and academic collaboration. Mike Newman, Travelers Vice President of Community Relations, is a champion for Augsburg College and cares deeply about student success. 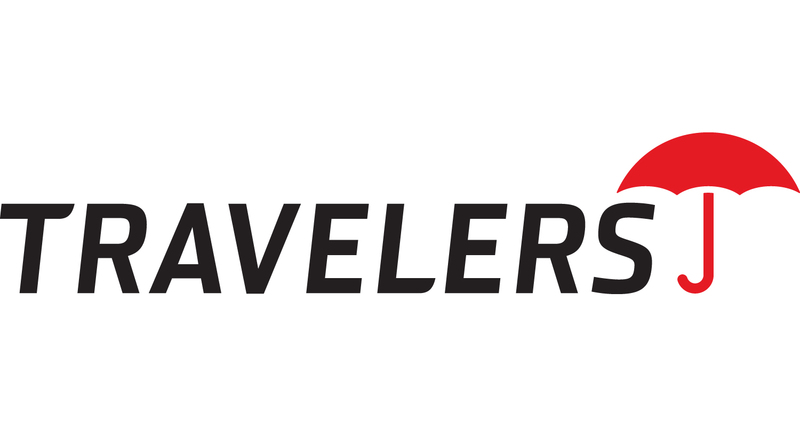 To honor this long partnership, Augsburg Corporate and Foundation Relations and the Strommen Center for Meaningful Work is hosting a celebration for Travelers and an opportunity to share this model with other corporations in the region. April 7, we are inviting corporate recruiters, internship managers, faculty, and students currently in the program to celebrate and discuss the future of workforce development in Minnesota. If you are a representative at a local corporation, please email scherera@augsburg.edu if you would like to know more. 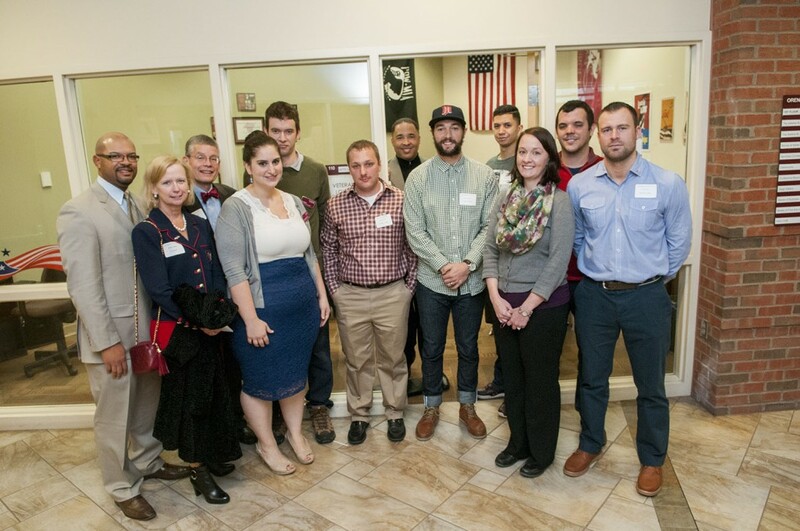 Augsburg College and U.S. Bank celebrated the opening of a new campus Veterans’ Lounge with a dedication ceremony on November 10th, 2014. The newly renovated Veterans’ Lounge, located in Room 110 of Oren Gateway Center, honors the contributions that student veterans have made to their country. The lounge will host meetings with veteran support staff and features a veteran recognition wall, a computer workstation, a study area, and other resources and materials. Speaking on behalf of Augsburg were Student Veteran Representative Eric Olson (Army), Keenan O’Neill (Marine Corps), and Josh Pauer (Army). Several other student, staff, and faculty veterans were also on hand for the ceremony. Representing U.S. Bank was Paul Peel, an Army veteran, along with Jennie Carlson, Senior Vice President of Human Resources, Deborah Burke, Senior Vice President of Government and Community Relations, and Rebekah Fawcett, Vice President of Employee Relations. Peel, a 2012 graduate of Augsburg’s Master’s in Business Administration program who now works in U.S. Bank’s Corporate Trust division, was excited to be able to connect with current Augsburg student vets. U.S. Bank recently pledged $125,000 toward the building of the Center for Science, Business, and Religion at Augsburg College. The college has recognized U.S. Bank’s substantial contribution to the campaign by granting naming rights to the new Veterans’ Lounge. 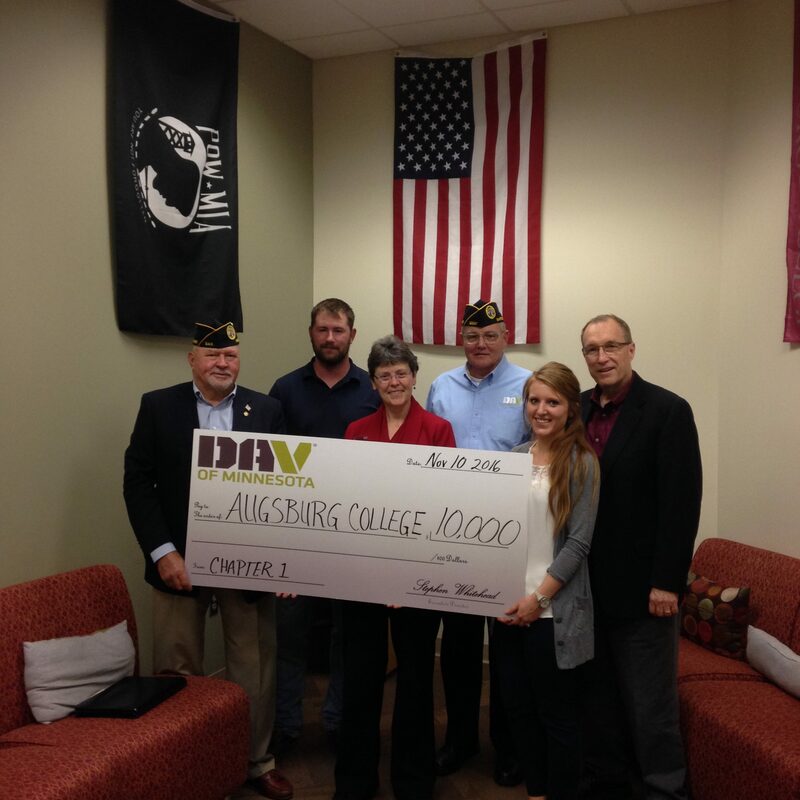 U.S. Bank and Augsburg College are both nationally recognized as top supporters of veterans and military families. For its ongoing efforts to provide transitioning veterans the best possible experience in higher education, from navigating benefits and financial aid to securing an internship, Augsburg was named a 2015 Military Friendly® School. To learn more about the Veterans’ Lounge and other Veterans’ support services, please email studentvetrep@augsburg.edu or call 612-330-1151. Pictured above (L to R) outside of the Veterans’ Lounge in Oren Gateway Center: U.S. Bank’s Paul Peel (’12) and Board of Regent member Jennie Carlson, Senior Vice President of Human Resources; with Augsburg’s President Paul Pribbenow, VA Certifying Officials Shannon Kasperson and Lori York, and student vets from Augsburg College. Augsburg College Campus Kitchen was founded in 2002, and is currently the most comprehensive Campus Kitchen organization in the United States. Augsburg is one of only two colleges in Minnesota that offer this program. Augsburg Campus Kitchen provides 18,000 meals annually to the surrounding neighborhoods, mostly derived from overages in Augsburg’s dining services—food that would otherwise go to waste. The success and growth of Augsburg College Campus Kitchen is strongly supported by local corporations, who value the opportunity for their employees to engage more deeply with their communities, and live their values as corporations. 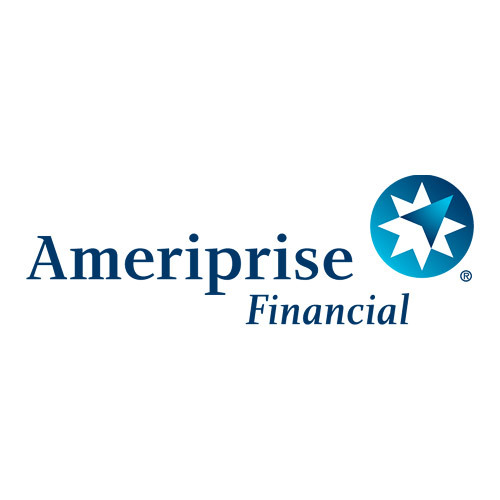 Ameriprise Financial awarded Campus Kitchen a $5,000 grant in September 2014. 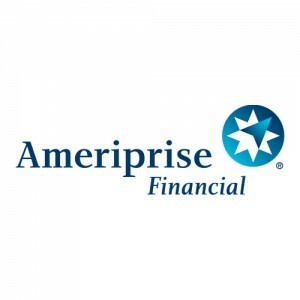 Ameriprise understands that small nonprofits require consistent streams of general operating support, and has supported Campus Kitchen since 2009. Land O’Lakes also awarded Campus Kitchen a $10,000 grant in October 2014. 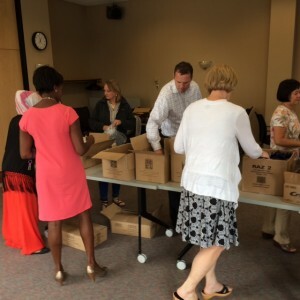 Land O’Lakes supports programs that alleviate food insecurity. This is the first grant award from Land O’Lakes for Campus Kitchen. Thank you!